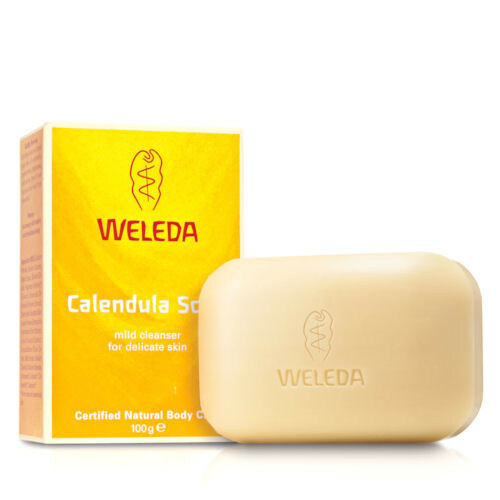 Weleda Calendula soap is a gentle vegetable soap for sensitive skin – a natural formulation with extracts of soothing calendula and organic chamomile. Develops into a soft lather to gently cleanse the skin and help maintain moisture balance. There are currently no questions to display about Weleda Calendula Baby Soap 100g.